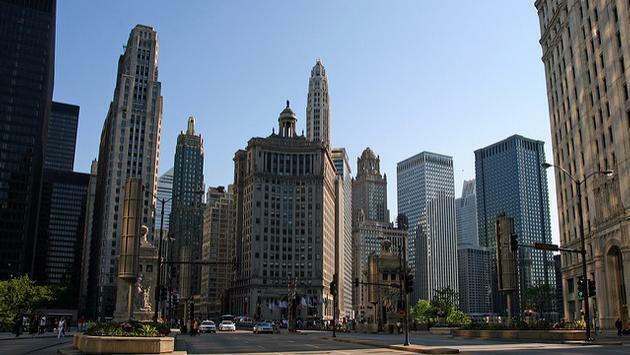 Chicago is the most budget-friendly flight destination in all of North America. A new report from Kayak found the median price for flights to the windy city is typically 36 percent cheaper than other destinations. The Kayak report, which ranked what it called the “Top 10 Wallet-Friendly North American Flights,” also provides insight regarding when to buy tickets to each of the destinations for the greatest deal, offering a few budget accommodation choices as well. Additional cities that round out the top 10 include: Toronto, Canada; Montreal, Canada; Vancouver, Canada; Las Vegas, Nevada; Atlanta, Georgia; Dallas, Texas; New York, New York; Calgary, Canada; and Seattle, Washington. When it comes to purchasing tickets to Chicago, you’ll want to buy six weeks in advance to obtain maximum savings. At that point, average ticket prices hover around $167. As for where to stay, check out Club Quarters Hotel Central Loop, where rooms are about $104 per night. The best time to buy tickets to the hip and cosmopolitan city of Toronto is one month in advance when the price drops to a low of $230. While in the city, consider staying at the Marriott City Centre Hotel where it’s about $173 per night for a room, according to Kayak. Planning to visit Montreal? You’ll want to purchase tickets anywhere from one to two months ahead of time when prices are about $282. Stay at Montreal’s Chateau Versailles where rooms are just $99 per night. The lowest price for tickets to fourth-ranked Vancouver is $272. To capture this bargain ticket, book about one month in advance. Kayak’s full rundown of flight prices and accommodations for each of the top cities can be found here.